Below is important information from Councilwoman Margaret Wille. Please circulate it widely and support her efforts. This Resolution urges State Legislators to make clear that the State’s Right to Farm Act was meant to prevent the encroachment of urbanization into agricultural operations (and clearly was not intended to insulate the agro-chemical corporations from legitimate public or private nuisance claims).This Resolution is especially important as the countermeasure to the pending State Legislation to amend the Right to Farm Act in a way that will eliminate any County Home Rule regarding any farming (agro-chemical) practices. The state bills are HB2506 and SB3058. Given there is no regulation of GMO patented seed farming on the state or federal levels, the practical effect of eliminating local county regulation will be to insulate the agro-chemical corporations from any government oversight. Council Chair J Yoshimoto is requesting a rule change to significantly increase his power as Council Chair. If this rule amendment passes, the Council Chair will be able to deny other Council Member’s communications from being referred to and heard by the Council and Council Committees. Under the Council’s current rules the Chair is obliged to refer all fellow Council Member’s communications to the appropriate Council committee. Our County has always been able to brag about the fair and democratic process of our Council, given that all Council Members have the right to have all of their Communications heard – regardless of whether in the form of a bill, a resolution, or a Communication for discussion purposes. I think this power grab is an abuse of power and will be used to block Communications that the Chair does not support. Via Videoconference – At the Waimea Council Office; the North Kohala Video Conferencing Site in the old Bank of Hawai’i Building in Kapa’au; the Kona Council Chambers – West Hawai‘i Civic Center; the Pahoa Neighborhood Facility and the Hawaiian Ocean View Estates Community Center. By email: Counciltestimony@co.hawaii.hi.us or by mail: County Clerk’s Office at 25 Aupuni Street, Hilo, Hawai’i 96720. As you probably know, folk legend and activist Pete Seeger died this past week at the age of 94. As a small tribute to all he contributed to justice, peace and the environment I’ll be bringing a small solar charged sound system, mic and my guitar to play a few sing along songs in his honor at today’s Jan. 31, 2014 Hilo Peace Vigil 3:30-5PM at the downtown Hilo Post Office. There will be a time for others to share memories of inspiration by Pete. Please pass the word. Mahalo and Solidarity. Please submit short testimony via email to the State legislature by Monday, Feb. 3rd in support of SB 3119 for a Pu’uhonua at Kulani run by Ohana Ho’opakele. That’s really all you need to say. My short testimony is below. To submit testimony, click on the link below and then click on SB 3119 about half way down on left, then click on submit testimony box. Mahalo for your solidarity. Our organization supports SB 3119 but would urge that the Bill be renamed as supporting a Pu’uhonua at Kulani following up on Act 117 passed in 2012. Ohana Ho’opakele, not DPS, should be the controlling organization of the Pu’uhonua. It’s time to return to a model alternative to prison rooted in Hawaiian culture –the Pu’uhonua as a place of healing where ho’oponopono and other positive steps would be taken to heal individuals, families, and our communities, reduce recidivism, and save the state a lot of money. 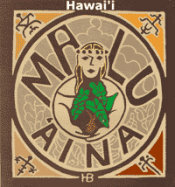 Kulani Pu’uhonua should be the first modern day Pu’uhonua. Pu’uhonua on other islands should follow promptly. Please pass the word of this fim showing. Mahalo. Details: Documentary investigates the impact of U.S. drone strikes at home and abroad with interviews with a drone operator and Pakistani families mourning loved ones. Footage from tribal areas humanizes those affected by the brutal reality of U.S. drone policy. These actions are often imprecise and create enemies for the American people who are ignorant of how the killings are carried out. A global survey conducted by the Worldwide Independent Network and Gallup at the end of 2013 found that people around the world believe the U.S. to be the Number 1 threat. Glen Ford writes that this conclusion echoes the words of Martin Luther King forty six years ago that the U.S. is “the greatest purveyor of violence in the world, today.” Ford said that King believed that “racism, militarism and extreme materialism” were the “giant triplets“ of “interrelated” evil at the root of violence and human suffering that had to be overcome if society was to be transformed. Racism: “The U.S. prison population is by far the largest on the planet, in sheer numbers and in the proportion of Americans locked up. No other country comes close – which makes the United States the superpower of mass incarceration… Nearly half of U.S. prisoners are African American, although Blacks are only one-eighth of the total U.S. population. Since Americans make up fully one-quarter of the world’s prison inmates, that means one out of every eight prisoners on the planet is an African American.” In Hawaii, Dr. RaeDeen Keahiolalo-Karasuda, PhD says that 3/5 of prisoners are Native Hawaiians while only 1/5 of the population. Militarism: “The U.S. military budget is almost as large as the military spending of all the world’s other nations, combined. Together, the U.S. and its NATO allies account for more than 70 percent of global weapons spending. At last count, the U.S. spent six times more on war than China, and 11 times more than Russia. In fact, if you count up the U.S. and all of its allies, they are probably responsible for about 90 percent of total moneys spent on war.” Ford also writes: “America’s police and prison custodial forces dwarf the militaries of most countries – which tells us that militarism is now so deeply embedded in U.S. domestic structures that you can’t tell where the military ends and the police begin.” As you watch sporting events (including the Super Bowl this weekend) ask how the U.S. military has come to have such a place of prominence at these events. Is it anything less than military idolatry? Never Give Up! We Shall Overcome! Resist with Aloha!